It took five days of solid driving to get from Dawson in the northern Yukon down to our next destination of Jasper in the Canadian Rockies. Five days! That shows just how vast the country is up in Canada! 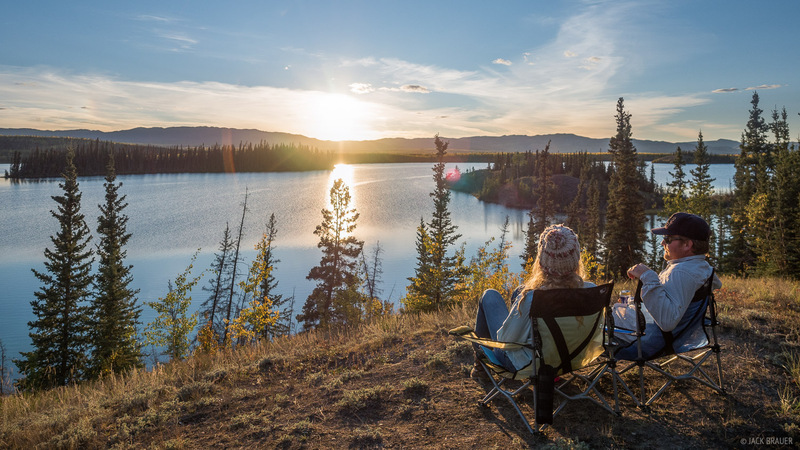 Here we are camped at a random spot above Twin Lakes, somewhere in the Yukon.